Forex has its own vocabulary of terms that denote the unique concepts belonging to trading currency pairs. We all learn them on the go, but in case you haven’t seen a forex term before, here’s a list of essentials. We’ve followed the trading process from beginning to end and listed the relevant terms. Currency Pair – To trade forex, one must buy one currency and sell another – a currency pair has a base currency and a quote currency, in that order. So in GBP/USD, (US dollar and British Pound), GBP is the base currency (always equal to 1) and GBP is the quote currency (the value of $1 expressed in terms of GBP or 1.31432 at this writing. Pip– Means Percentage in Point. A pip is typically the last decimal of a currency pair’s quoted exchange rate and is equal to 0.0001 for most currency pairs. Pips are used to calculate profit and loss in trading. Trade – A forex trade is always made with one currency against another. You buy 1 000 dollars against British pounds or 1314.32. Now your money is invested in the currency pair GBP/USD You wait, and the pair goes up to 1.315000. You now sell your thousand dollars worth at a profit. Bid – There are two prices for each currency pair – ‘bid and ask.’ The Bid price is the one at which you can sell a currency. The bid price is always lower than the ask price. Ask – There are two prices for each currency pair – ‘bid’ and ‘ask.’ The ‘ask’ price is the one at which you can buy a currency. The ask price is always higher than the bid price. Spread – The difference between the bid and the ask price – the spread goes to the broker as earnings on each trade – this is how brokers earn their money. Leverage– The amount of money on deposit you need for a given transaction size. Leverage is usually quoted as a ratio such as 1:50 which means that you will need $100 on deposit to control a trading position of $5,000. Margin – The amount of money you keep on deposit with a forex broker to fund your trades. If your leverage ratio is 1:50 then you need to have $100 of margin on deposit to trade a forex position with a $5,000 notional amount. Long –To ‘go long’ means buying a currency and expecting it to rise in value. You can then sell back your position at a higher price than you paid for it. This means buying the base currency and selling the quote currency. .
Short –To ‘go short’ means that you expect a currency to fall in price. This means selling the base currency and buying the quote currency. Stop loss – Each time you trade, you are counting on the currency pair either going higher or lower – you choose the direction by going long or short. But, if the trade goes the wrong way, you will lose more money the further it goes. So part of your trading strategy is to place a stop loss on the trade. For example, if you are buying GBP/USD at 1.31000, you could place a stop loss at 1.25000. The stop loss will close the trade at that point, and you won’t lose more than you’ve already expected. Take Profit – same as a stop loss, but in the other direction. Trailing Stop loss – This is a stop loss that ‘trails’ your trade. For example, if you place a trailing stop loss on a trade at 50 pips below the price you are buying at, then if the trade goes up 100 pips, you’ll still have a stop loss 50 pips below that to protect you if there is a reversal. But your 50 pips of gain are still there. Resistance – When a currency pair’s price rises to a certain point, then falls back, it is said to have met resistance. If a price bounces off a resistance level a few times, the chances of it’s going lower are strong. Support floor – When a currency pair prices drops to a certain level, then bounces higher, it is said to have hit the support floor. Repeated bounces from the floor suggest a move higher. 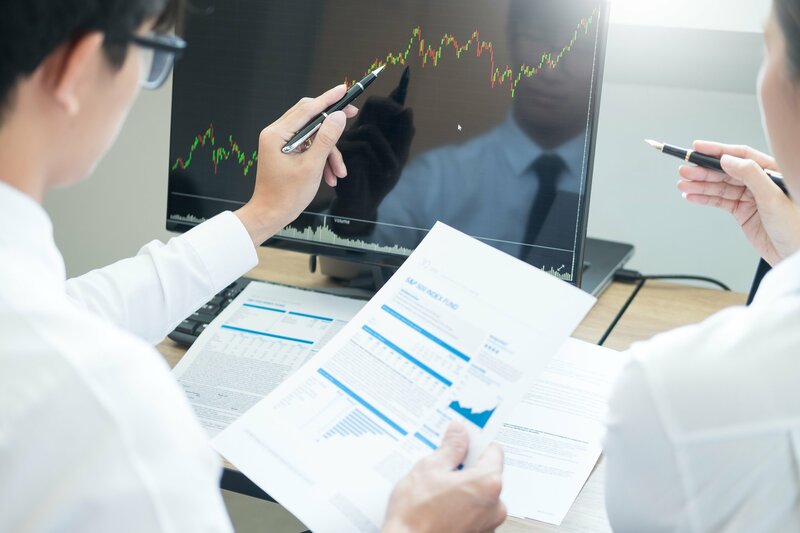 Chart patterns – Technical analysis is the study of chart patterns – price formations that fall into a specific image – double top and double bottom, rising wedge, etc. Chart patterns are a powerful tool in trend identification. Fibonacci retracements – Fibonacci retracements are s specific type of chart pattern, one which is based on the Fibonacci sequence of numbers. a Fibonacci retracement is created by taking a high and a low, and then dividing the vertical distance by the key Fibonacci ratios of 23.6 percent, 38.2 percent, 50 percent, 61.8 percent and 100 percent. Once these levels are identified, horizontal lines are drawn and used to identify possible support and resistance Your trading platform will have a tool to highlight the Fibonacci pattern on the chart.